Home / Blog / We Will Pay for You to Move! We Will Pay for You to Move! We will pay for you to move. Proceeds from the sale of your house could be significantly trimmed by closing fees plus other miscellaneous costs including the expenses in moving to your new home. Although many closing fees are the responsibility of the home buyer, many of the other expenses in closing a home sale are shouldered by the seller. Hence, even as you need to sell house fast, it is important to understand closing fees and explore possibilities of trimming these expenses down to the max. On the same breadth, add-on costs of a home sale, such as your cost of relocation, would have to be looked into, in order to derive the most out of your hard-earned home equity. Homeowners who need or want to sell house fast would typically offer to shoulder some of the buyer’s own closing costs in order to expedite a quick sale. At House Sold Easy, the reverse is true. As real estate investors, we can take care of some of the sellers’ closing costs, and further sweeten the deal with a cash offer including a seller’s cost of moving to a new residence. Outright, owners of for-sale residential properties can forget about broker’s commission, one of the major items in sellers’ closing costs. At House Sold Easy, we buy houses direct from their owners who need not hire a brokerage firm to expedite a sale. By dealing with us, sellers cut closing costs anywhere between the 4 and 7 percent of the sale price that full-service brokerage firms typically charge as commission. These firms also charge their home-selling clients with a processing fee for paperwork, a cost which we could absorb at House Sold Easy. As is the practice in the industry, we also pay for the recording fees the city or county imposes for registering our house purchases. Our closing cost obligation also covers the fees for the title search, a step which we can accomplish quickly given the wide network we have already established in our more than 10 years in the real estate industry. At House Sold Easy, we are aware of the many stressful factors or circumstances that more often than not surround those homeowners who need to sell house fast. It is for this reason that we offer the option of paying for the moving costs of the homeowners selling their houses to us. 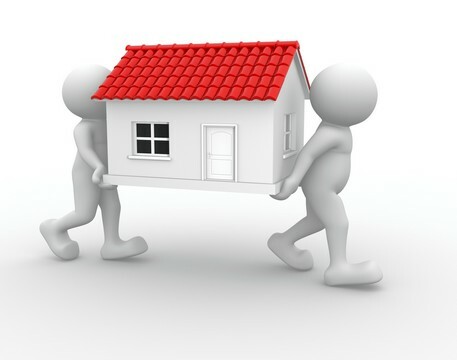 Moving expenses, our buying professionals know, can be too taxing particularly to those who want to sell house fast due to tight financial situations. Even renting a cargo trailer for a do-it-yourself move can be costly, with some vehicle rentals charging $15 per day up to $40 a day plus mileage. This DIY relocation, needless to say, also goes with the time-consuming burden of packing, loading, transporting, and unloading your stuff. Certainly, you can hire full-service movers for a more convenient and less stressful relocation. A full-service mover though could set you back by as much as $6,000, and this is just for an in-town move. We, at House Sold Easy, have the experts who can help you in trimming all closing costs as close to the bone as possible. Our offer to pay for your move is just one of our approaches favored by folks who had to sell house fast. Call us at 636-525-1566 for our other solutions for you to sell house fast.